It can be very difficult finding healthy snacks for both adults and children. We like to have a stash of healthy snacks for when hunger strikes and this recipe sure is a winner with the kids! 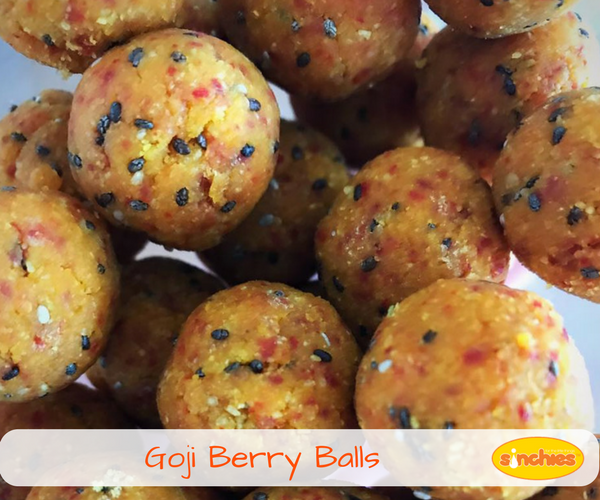 We just love Goji berries and this super simple recipe is set to impress. Great for lunchboxes or as an anytime snack. Previous post: Sinchies for Dads! Yes, You Heard Me; Sinchies for Men! Next post: Additives and Preservatives: What is MSG?